Are you inclined to escape the crumminess of everyday life into fantasy worlds? Are you smart and imaginative in a way that isn’t really suited to your surroundings? Are you definitely misunderstood, likely angry, and almost certainly depressed? Set Sytes, hailing from the UK, would prefer you stay alive and sort things out rather than the alternative, thanks. 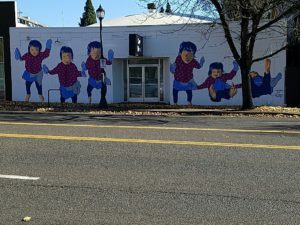 He figures there are better opportunities for you out there and lays it all out in a way that’s compelling, funny, sharp, and useful. This zine (please don’t call it a self-help guide, asks the author) is ultimately about how to be a person in the world. It can be done non-miserably, we promise. It’s been more than three years since Joe went on Reddit to do an “Ask Me Anything” Q&A session, aka an AMA. The results were surprising… to us, at least. The above image is pretty representative of the kind of “question” he got the first time around. Never one to be deterred, he’s coming back for another #ActuallyAutistic AMA on Wednesday, November 22, 2017 at noon PST / 3pm EST. 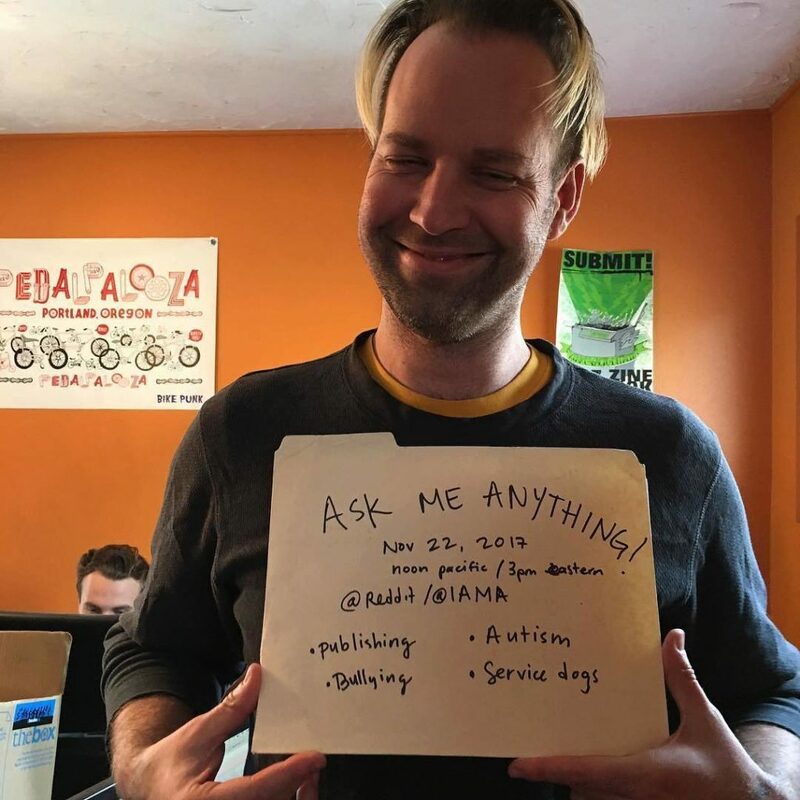 You’re invited to ask him anything you’d like about publishing, documentary filmmaking, living with autism, dealing with bullying, having a service dog, or how he gets his hair to do that. Update: This AMA is live at this link! It’s been a while, RMC edition. Hello again from the most radical little green house of books you’ll ever find. It’s been a while but after a crazy year we’re working on getting back in the swing of things. How are you, though?? 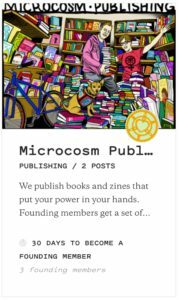 Microcosm’s staff is an incredible little world of its own, with wildly different personalities, opinions, and preferences. Every now and then we like to check in with everyone and see what we’re all into these days…. My favorite thing on tv right now is Stranger Things 2, because I like Dungeons and Dragons-themed tv (OK, I have a 13-year-old who loves horror). I read stuff simultaneously: A Tree Grows in Brooklyn, Unfuck Your Brain, Akata Witch, and the new issue of Harper’s. My favorite thing on tv right now is The Good Place. I started it on a whim because I liked the cast, and how funny and surprising it was blew me away. Eleanor (including her faults, unfortunately) is definitely my spirit animal. My favorite thing on tv right now is the show Fortitude. It’s quirky. The last book I read was How to Read Nature. My favorite part was learning that pigeons follow roads. Your favorite thing on tv/entertainment right now is Crazy Ex-Girlfriend, because it’s funny feminist fun, with fantastic characters & songs—what more do you need? But I haven’t gotten to watch any of Season 3 yet, so don’t spoil it for me! Last book I finished was Kristin Hannah’s The Nightingale. My favorite part was [SPOILER!] when Vianne (one of the two sisters the book revolves around) kills the Nazi she’s very conflictedly in love with. Though my critique would be this book teeters on the edge/possibly crosses into too-melodramatic territory pretty often, which is often difficult with WWII fiction.